A new boss has been appointed to oversee the current radical overhaul of local health services. Deborah Fielding has been appointed as full-time leader of the Hertfordshire and West Essex Sustainability and Transformation Partnership (STP). The STP is designed to get various health organisations to work more closely together and merge their services. She said: “We can only improve our health and wellbeing by working together in new ways with the public, health and social care employees. Deborah Fielding took over the role from Monday (January 15). 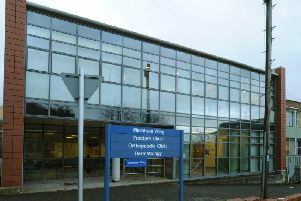 Her immediate predecessor, Tom Cahill,is the chief executive of Hertfordshire Partnership University NHS Foundation Trust.